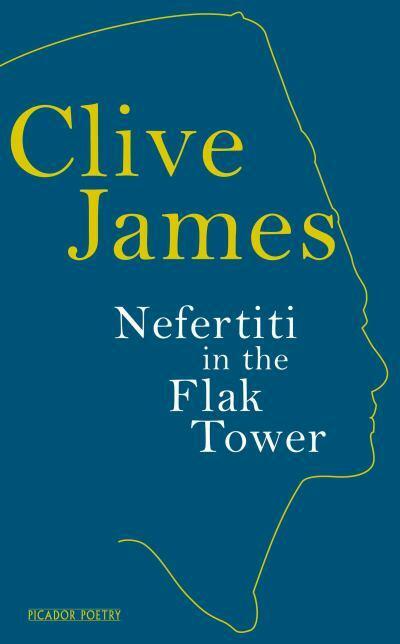 You get the impression from this interview that Brian Appleyard originally wanted to talk about Clive James's new volume of poetry Nefertiti in the Flak Tower. But life tends to get in the way so a lot of the interview concentrates on the poet's health issues, work plans, and family complications. Whatever the original intention the final outcome is very interesting indeed. "I had suicidal thoughts when I was young. I fancied myself as a melancholic, quite a lot of people do, it's a fashionable thing. Anyway, all these ideas were coming to me when I was going to sleep, ideas of self-destruction. They all promptly vanished the moment I was under real threat. There was a sudden urge to live. I wanted to do more, to write more." It was, for a long time, not clear that he would make it. Close to death on several occasions, his intake of medication seems to have been vast and not always welcome: "They once gave me a mood stabiliser because I was getting a little ratty. I mean, the last thing you want as a writer is a mood stabiliser." He has always written poetry. This, he says, is his best book -- "I have never before reached this pitch of intensity" -- but it is also his darkest. Well known for his television shows, his comical memoirs and his hilarious book reviews, he has, as a writer, always been much darker than his public persona would suggest. One review that he wrote about The Incredible Hulk was included as part of an English exam. A woman who sat the exam paper recently wrote to tell him she had to be escorted from the room because she was laughing so much. This page contains a single entry by Perry Middlemiss published on August 30, 2012 12:50 PM. 2012 Ned Kelly Award Winners was the previous entry in this blog. Reprint: Queen of the Colonnies by Nettie Palmer is the next entry in this blog.